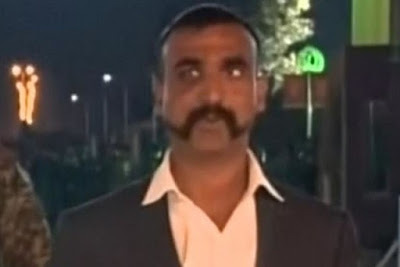 A flare up between arch-foes India and Pakistan appeared to be easing on Saturday after Islamabad handed back a captured Indian pilot, amid efforts by global powers to prevent a war between the nuclear-armed neighbors. Shelling on both sides of the Line of Control (LoC) that acts as a de facto border in the disputed Kashmir region continued for a few hours after his release, resulting in four deaths, but then stopped overnight, officials said. 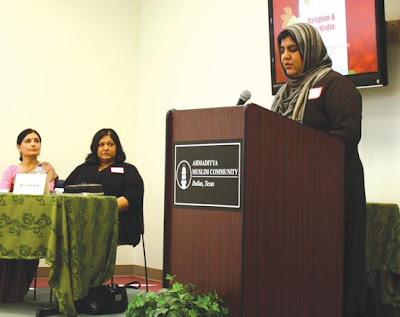 The city of Allen will be at the epicenter of the interfaith movement this week as the Ahmadiyya Muslim Women’s Auxiliary of Dallas will be hosting its annual convention on Sunday. The dialogue, which has been running on an annual basis for 17 years, is expected to draw upward of 200 women from across the entire spectrum of faith. The Interfaith tradition has been a part of the fabric of Allen since the Bait-ul-Ikram Mosque was built in 2002. According to Ismat Mahmood, the secretary of Interfaith, the objective is clear: open a dialogue and break down the barriers of stigma and bigotry. “The goal of our entire initiative is to create a bond of fellowship in our community. We want to bring people together to learn about the Muslim faith and to respect all faiths,” Mahmood said. Since being built in 2002, at the height of anti-Muslim rhetoric, the relationship between Muslims and the rest of the community has steadily improved. Although there are still glaring instances of bigotry in the everyday lives of Muslims, Mahmood contests that since she has started the interfaith dialogue the situation has made progress. The Union Home ministry on Thursday banned the J&K chapter of the Jamaat-e-Islami for five years for allegedly indulging in activities “prejudicial to internal security and public order” and said the group has the potential of “disrupting the unity and integrity” of the country. The Union home ministry on Thursday banned the Jammu and Kashmir chapter of the Jamaat-e-Islami, a socio-religious organisation, for five years for allegedly indulging in activities “prejudicial to internal security and public order” and said the group has the potential of “disrupting the unity and integrity” of the country. 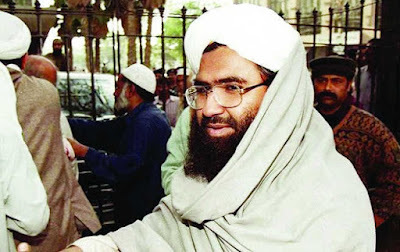 In a notification, the ministry said the Jamaat was in close touch with militant outfits and was supporting extremism and militancy in Jammu and Kashmir. The notification also accused the organisation of supporting claims for secession of a part of the Indian territory and supporting terrorist and separatist groups fighting for this purpose. The notification said if unlawful activities of the Jamaat were not curbed and controlled immediately, the group is likely to escalate its subversive activities, propagate anti-national and separatist sentiments and continue inciting violence in the country. "This scheme - reflecting their high standard of creativity and expertise - will shape the way in which we manage the flow and space in and around this landmark complex." A Morden mosque which burned to the ground nearly four years ago is about to be brought back to life. 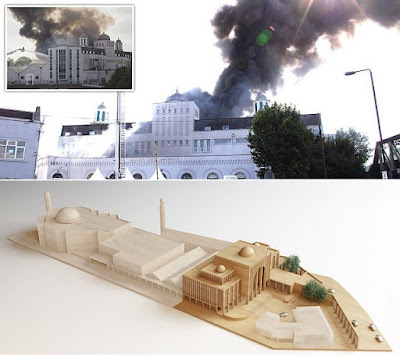 In 2015 a blaze ripped through the main administration buildings of the Baitul Futuh Mosque in London Road. This included offices, function halls and residences, and took 70 firefighters and 10 fire engines to bring it under control. That same year, John McAslan + Partners were the firm chosen to repair the building and now work is finally about to commence. Rafiq Hayat, national president of the Ahmadiyya Muslim Community UK praised the "world renowned" architects. "This scheme - reflecting their high standard of creativity and expertise - will shape the way in which we manage the flow and space in and around this landmark complex," Mr Hayat said. [H]aving a notable and renowned economist such as Dr. Atif R. Mian working on our side should have been something to cherish and be proud of. As the course of Pakistan’s economy is in need of some serious reforms and policies, we have blinded ourselves by the curtain of religion. Time after time, Pakistan has been treated like a money-making object by corrupt politicians and parties. It is safe to say that every authoritative position has, at some point in time, taken personal advantage of their position — be it the army, the religious parties or the government itself. 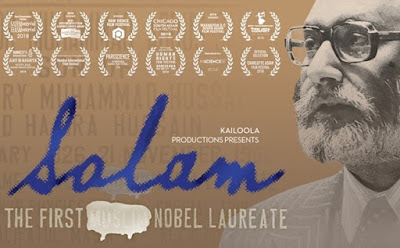 The induction of Dr. Atif R. Mian, a veterinary economist, into the Economic Advisory Council (EAC) by Prime Minister (PM) Imran Khan hit the media by storm some months ago. Most political parties and politicians have raised grave concerns on the matter, simply because the man belongs to the Ahmadiyya community. In a matter of the state’s economic functions, religion does play its part but never does it exceed merit or logic. A spokesman of the Interior Ministry said that the decision to ban these groups was taken during a meeting of the National Security Committee (NSC) held at the Prime Minister's Office on Thursday. 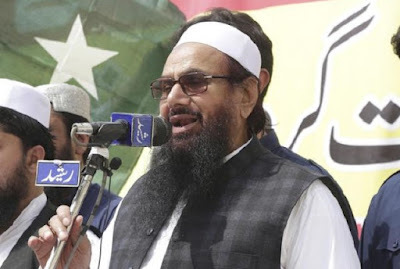 Pakistan on Thursday banned the 2008 Mumbai attack mastermind Hafiz Saeed-led Jamat-ud-Dawa and its charity wing Falah-e-Insaniat Foundation. A spokesman of the Interior Ministry said that the decision to ban these groups was taken during a meeting of the National Security Committee (NSC) held at the Prime Minister’s Office on Thursday.